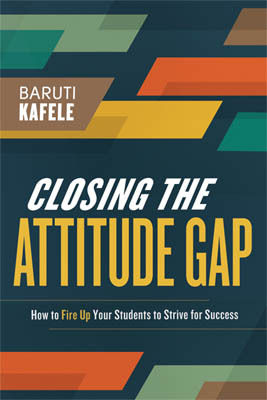 In this inspiring and thought-provoking follow-up to his 2009 best-seller Motivating Black Males to Achieve in School and in Life, Baruti Kafele makes the case that the "attitude gap" that often affects underperforming students can only be closed if educators first help students develop the will to strive for excellence. Replete with practical strategies and illustrative anecdotes drawn from the author's 20-plus years as a teacher and principal in inner-city schools, Closing the Attitude Gap offers a wealth of lessons and valuable insights that educators at all levels can use to fire up their students' passion to learn. "Principal Kafele speaks from the front lines as a transformational education leader. His latest book, Closing the Attitude Gap, offers a powerful framework for teachers, principals, and district leaders ready to witness change, put aside excuses, and see students strive for academic excellence. Filled with reflective questions, personal stories, and helpful tips, Baruti Kafele’s book can change the expectations—and the results—of the educator seeking to make a profound difference."